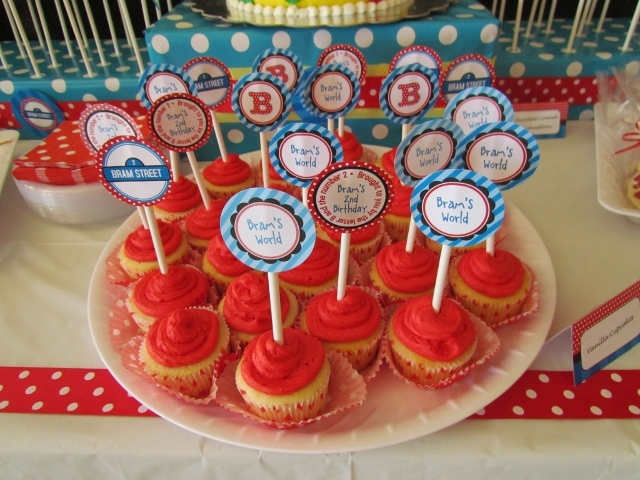 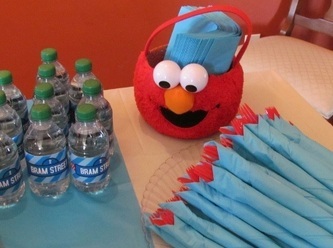 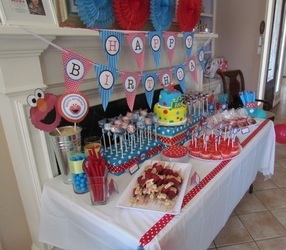 Michelle chose a gorgeous color combination of Red and Caribbean Blue and scattered Elmo accents throughout the party! 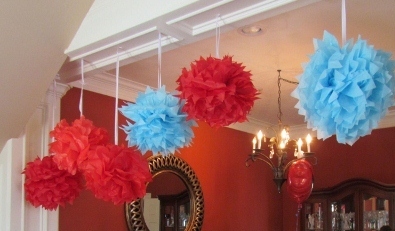 She created her own tissue paper pom poms and hung from the ceiling and archways. 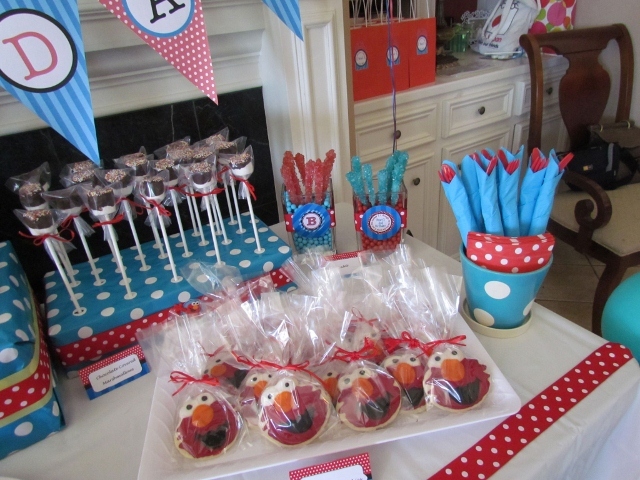 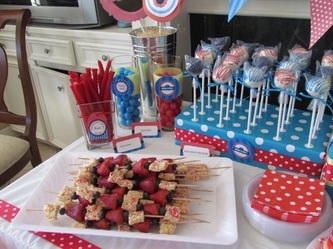 By far, the "show-stopper" of this 2nd birthday party was the dessert table! The red and caribbean blue fans and "Happy Birthday" banner provided the perfect backdrop to the table. 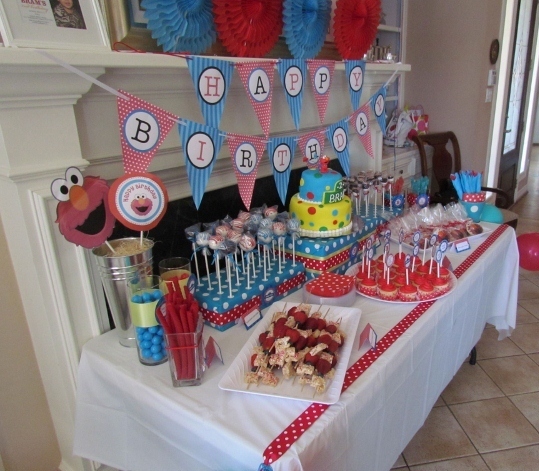 A simple white table cloth was accented with red and white polka dot ribbon.. The customized cake was elevated on a cake stand created by wrapping an empyt box in coordinating paper. 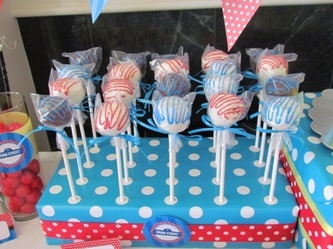 The cake pops and marshmallows were displayed on matching elevations although this time floral foam was wrapped to hold the lollipops in place. 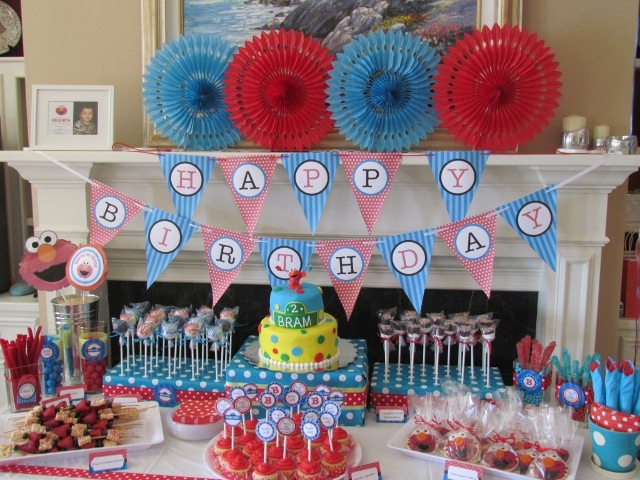 Each of the boxes were accented with the same coordinating ribbon lining the table. 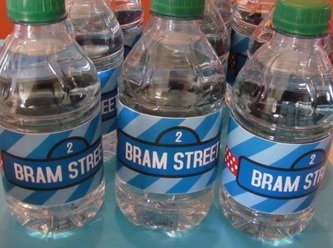 The designer labels were purchased and printed from Etsy. 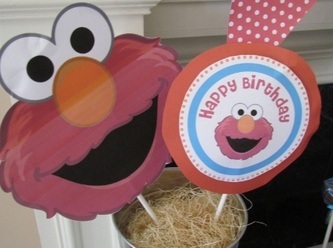 Here is a great tip from Michelle: when using floral foam...after wrapping, poke a hole with a wooden skewer and then insert the lollipop stick. 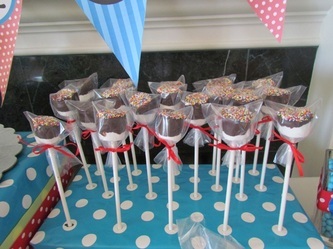 This will prevent the wrapping paper from ripping. 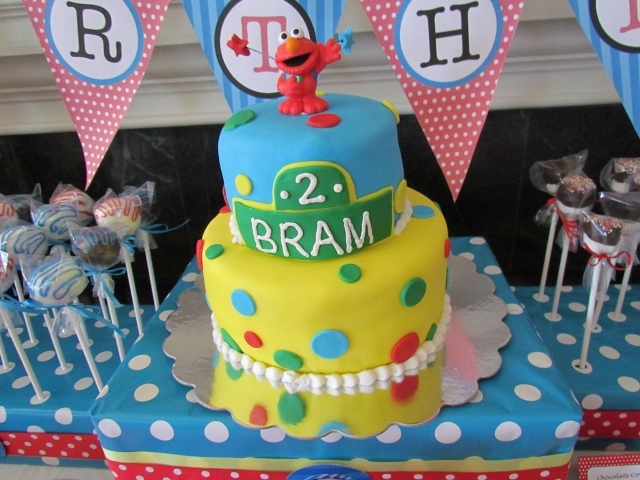 The centerpiece of the dessert table was a beautiful 2-tier chocolate and strawberry cream cake covered in fondant and decorated "Elmo-style." Michelle made chocolate covered marshmallows covered in Wilton's sprinkles, vanilla cupcakes with butter cream icing and red velvet cake pops dipped in chocolate and drizzled in colored icing! The accent of Elmo cookies was a perfect touch along with the red vines and colored gumballs! 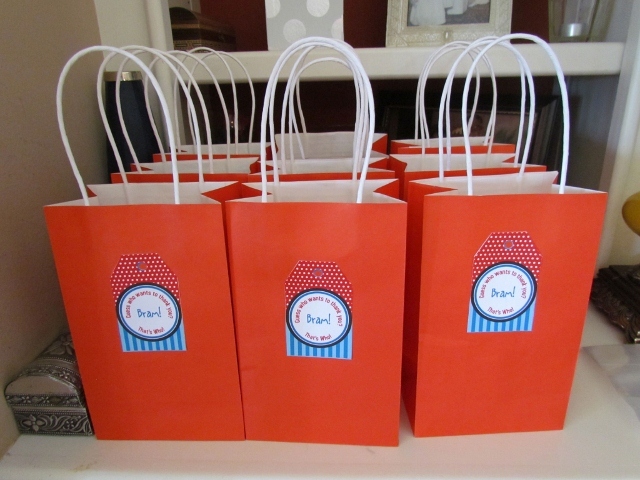 Each of the guests were provided a gift bag to take home as many treats as possible...what a sweet ending to this amazing party!